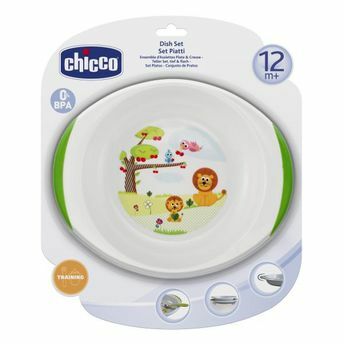 The Dish Set by Chicco lets the child eat in the high chair or at the table just like Mum and Dad. 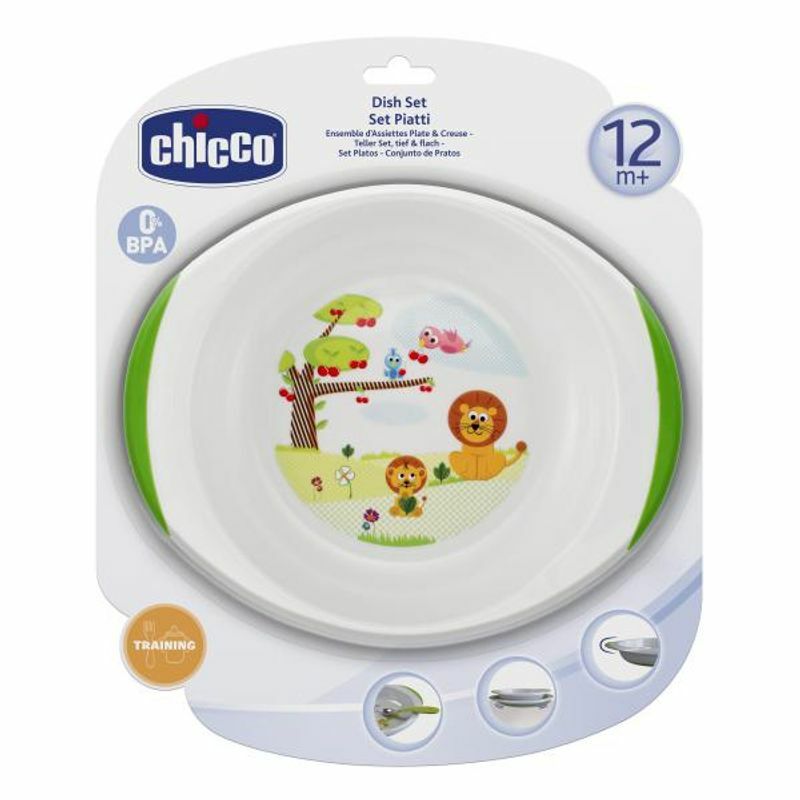 The non-slip base and sides ensure better grip and greater stability to the plate while the child is playing and with his hands grabbing everything nearby. The shape and size of the plates are in line with the baby's diet. Bite by bite the baby will be intrigued by the colourful graphics and will start creating their own mealtime stories.